With superior detection capabilities, the Navios provides accurate measurements for rare events critical to clinical diagnosis and monitoring. 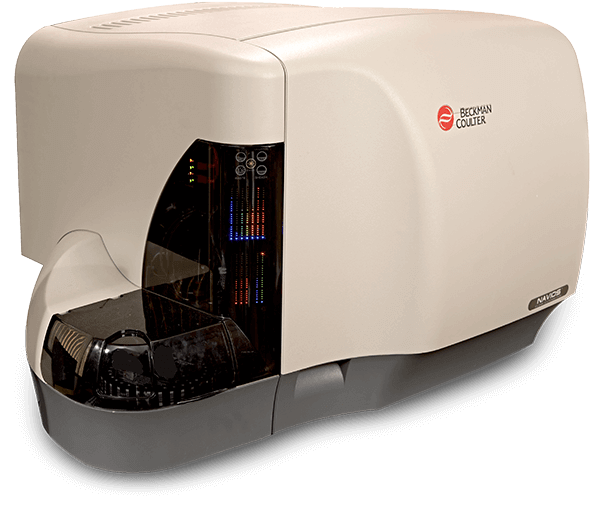 The flow cytometer clinical system delivers analytical excellence by coupling extraordinary sensitivity, resolution and dynamic range with high-speed data collection. The full-featured, easy-to-use software provides tools to improve the quality of results and optimize workflow in a clinical lab. 8 colors, 2 lasers (5 + 3 configuration).